Another superb release from Frenzy. 58 tracks over 2 cds plus detailed 16 page booklet. 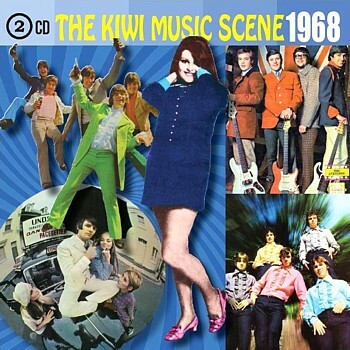 1968 was the most successful year for New Zealand music during the last millennium. There were over 120 singles released by local artists, of these 88 were aimed at the pop music market. 21 releases charted in the National Top 20 with a staggering 19 going on into the Top 10 making 1968 a landmark year for local music, a record that stood for over 40 years.